UPDATE 08/18/08: The victim has been identified as Demetrious Allen. His body now bears the scars of a pit bull attack. Allen underwent surgery after a pit bull at his private daycare clamped down on his head and ripped off part of his scalp. His mother, Ericka Lewis, told reporters, "They took his bandages off, and it was too much for me..."
Dr. Patrick Byrne with Johns Hopkins Hospital -- where Allen is being treated -- speaks frankly about his injuries. "I can't think of a single injury of this nature that was incurred by any other species other than a pit bull or a rottweiler." Due to horrific nature of these bites, surgeons have had to develop new techniques to try to mend them. These procedures are highly expensive and still leave the victim with scars. Aberdeen is located in Harford County. Just two counties away, is Prince George's County where pit bulls are banned. The child is out of surgery, but hospital officials said they can't comment on the condition of an unidentified patient. 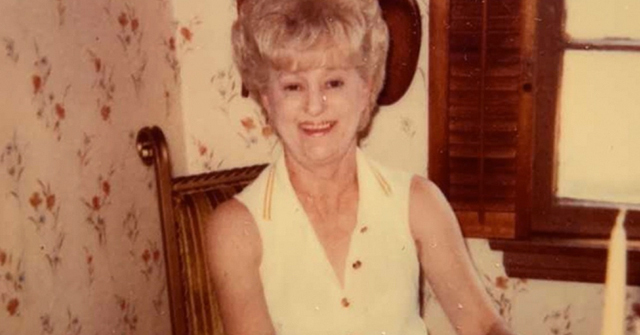 According to neighbor Ida Hendrix, her husband James witnessed the attack. His yells prompted the dog to drop the child. Ida then grabbed the child and applied pressure to his head to stem the boy's bleeding scalp. 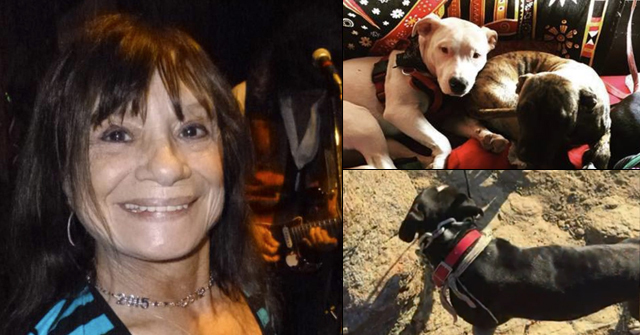 The dog, an 18-month-old pure-bred male, belonged to the son of the day care owner. The owner said the animal had interacted with children in the past without incident. 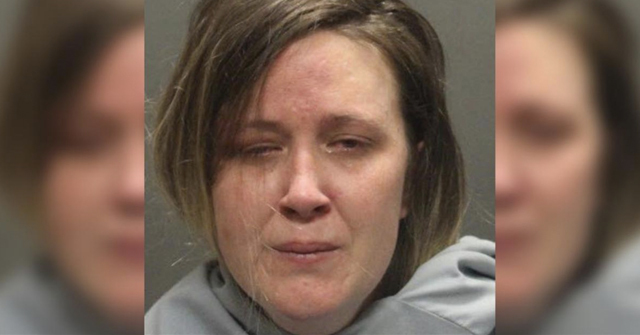 The provider, whose day care business is licensed through the county Health Department, said she was unaware the toddler had slipped out the back door and into the yard. One other child was in her care at the time. The caregiver is registered with the post's Children and Youth Services program, which can refer parents to providers. The name of the provider was not given. The presence of a pit bull would not preclude the Health Department from licensing the day care. "We can't discriminate against any breed of dog," said Pamela Arney, Harford's animal control officer. May the liability lawsuits roll; maybe one will snag Arney's agency. Aberdeen, MD - This morning, an 18-month-old boy suffered a serious head injury when he was attacked by a pit bull outside a day care. The police said the day care provider was unaware the boy had gone out a rear door and into the back yard of the residence, where the encounter with the pit bull happened. The boy is being treated at Johns Hopkins Hospital. The pit bull ripped off the boy's scalp. Anita Brunke, the day care provider, is the owner of the dog. The pit bull was fenced in the backyard of the day care center (a residential home) and hanging on the chain link fence was a Beware of Dog sign. It's unclear how a day care center could legally operate under these conditions. It's also unclear how any parent could drop their toddler off at a house with such visible signage. Police are not pressing criminal charges. How could there not be criminal negligence in this attack? Animal control is debating if the dog is dangerous and if they should put the dog down. How could animal control knowingly give this dog back to a day care center operator? It sounds as if both entities live on the planet Mars. This story is confounding. What kind of damn genius keeps a pit bull at their day care center? It’s child abuse! Pit bulls shred and murder more kids than all other breeds combined. There’s no end run around this fact. Charge them. Kill that ugly piece of crap pit bull and throw this sorry excuse for a human in jail. The fact that this crap happens over and over again is lunacy! Still recovering from the tragedy of Isis, I had to watch the video 5 times to make sure I got it straight. YES, the day care center housed the known dangerous pit bull, YES the police are not making criminal charges…YES, this is lunacy beyond measure. Obviously, Maryland is a “First Scalping Free” state, despite the breed being banned in Prince George County. This is child abuse, pure and simple; and the police will not do anything! If I were the parents of the child, I would retain a good lawyer, and sue the dog owner, then sue the state for referring children to this home KNOWING she had a pit bull! The childs parents would definitely win, the home had a Beware of Dog sign, so they knew the dog was agressive. Of course, the owner of the day care immediately claims the dog is her sons, like they all do. This woman should be behind bars, pure and simple. At a minimum, she should lose her license to operate daycare center! 18 months old and he can open the back door and walk outside? The pit bull owner is “tired of being targeted”, and will move the dogs to “his daughters house”…with no apologies for his dogs getting loose and attacking another dog, and previously, biting a person. So the danger will be relocated to another neighborhood, and perhaps a child will die. This is a great country we live in, huh? The police aren’t charging this idiot most likely because the prosecutor will. These sorts of crimes seem to follow a different path. And while we’re at it pointing the stupidity, what genius hires an in home daycare provider with a pit bull chained in the back yard?!?!?!?!? To answer the question above, the parent of the child said she knew the daycare operator had a small dog, but claimed she knew nothing about the pit bull. Who said the pit bull was chained? No one said the pit bull was chained. The dog was “restrained in a fenced yard.” OOPS! Can’t blame it on the chain. You know, when cities and towns are debating BSL, there is one group of “experts” no one has interviewed…the ER doctors. 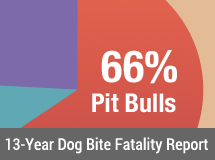 I have read several quotes from doctors and surgeons over the years who state that pit bulls are responsible for the majority of serious dog bite injuries they see. Wonder why no one asks the opinion of police officers and ER doctors when contemplating pit bull regulations? We seem to listen to every crack-pot “rescue” group spokesperson and self-proclaimed dog trainer, but the people who REALLY have to deal with the consequences of keeping these dogs in society… by rushing to the scene of the attack or stitching up the victims…their opinion goes unsolicited. Totally agree…The pit issue is a public safety/health and law enforcement issue not a humane issue. The ironic thing is the pit community has created a massive humane issue with pit bulls clogging the shelter system and being euthanized by the truckload. I wonder how many test animals died in order to develop these new techniques. I hope a lot of them were pitbulls. At least that way they serve some purpose other than being a menace to society.